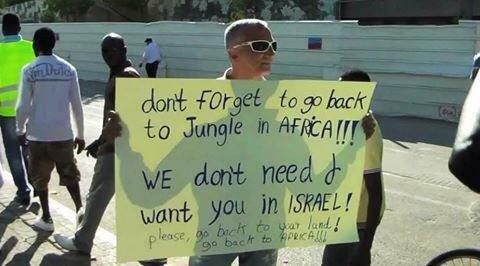 Israel is one of the most anti-Black countries in the world. AFRICANGLOBE – Emmett Till was an African-American teenager from Mississippi who was lynched on August 14, 1955 during a visit to his relatives. His murderers mutilated him and threw his body into the Tallahatchie River after he reportedly flirted with a 21-year-old white woman by the name of Carolyn Bryant. 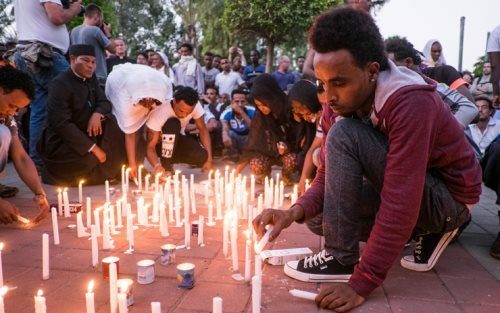 Two weeks ago two Israeli teens murdered Babikir Adham-Uvdo, a Darfuri asylum seeker who lived in the city of Petah Tikva, not far from Tel Aviv. Adham-Uvdo was attacked after he reportedly spoke to two white teenage girls. The Jewish teenagers kicked him in the head for an hour and a half, leaving him for dead. His body was found and brought to Rabin Medical Center. After four days in the hospital, Adham-Uvdo was taken off life support and died. Israel is carrying out a low intensity war against Black people residing in the country. When Miri Regev, the member of Knesset who once declared Sudanese a ‘cancer’ during an anti-refugee rally, becomes the minister of culture, the message is hard to miss and the results clear for all to see. When the government insists on passing racist laws against African refugees and imprisoning them in detention camps, it is sending the public a message that it has a free hand to fear and harm refugees. Several hundred refugees live in Petah Tikva. The argument that the large numbers of refugees is the cause of the hatred against them — as we often hear in south Tel Aviv — simply does not hold water there. Even the claim that the majority of asylum seekers are “foreign laborers,” repeated ad nauseam, is a reflection of ignorance and lies. It is obvious that had an African asylum seeker beat up an Israeli, the story would be making headlines for weeks. But Babikar Adham-Uvdo was murdered while Black in Israel.